Me alegra que tengas tiempo y ganas para dedicar a los artworks de CB-Emu (Volodymyr Shcherbyna es el autor de la engine Igel, entre otros proyectos de programación). Volodymyr Scherbina is also from Ukraine, I know this. I like the old engine Greko v.9-10. Sometimes I use to play. 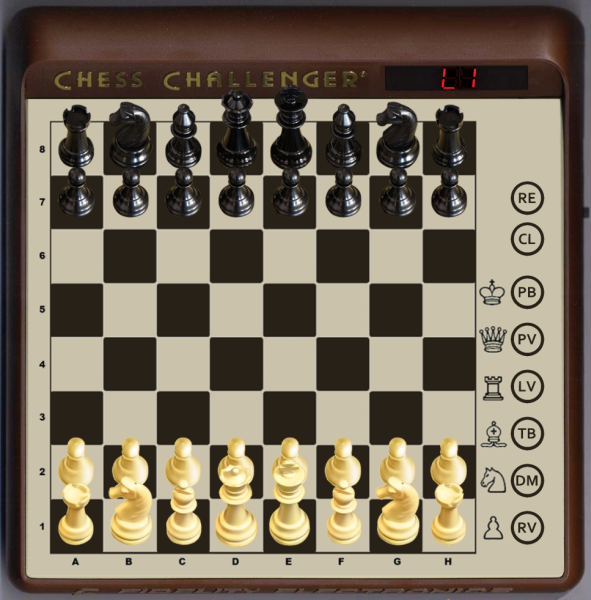 The engines with the adjustment of the limit strength of the game - these are my favorite chess engines. I think before the end of the year I will do another artwork, or two. Yes, I like your artworks. and send you the link via PM. I am very interested! thank you. Kupelwieser escribió: I am very interested! thank you. Well, my message was addressed to 'hap'. but I can't remember having seen your name in any MAME forum or in this forum here. Sorry. I red your message quickly and I thought (mistakenly) that it was a public message, even though you intended it to be a private one. Ok go ahead, I can forward them to other MAME developers.